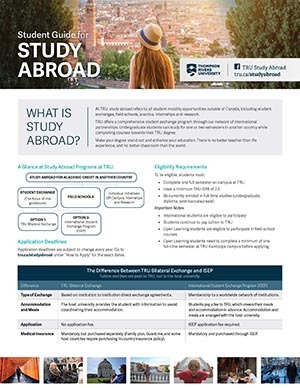 At TRU, the words study abroad refer to all student opportunities in countries other than Canada, including exchanges, field schools, practica and internships. 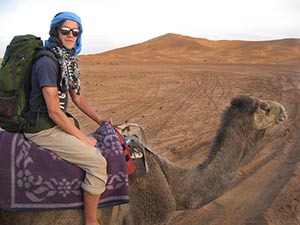 Student blogs, frequently asked questions, and see who our Study Abroad Ambassadors are! Courses you take overseas will be counted towards your degree. A study abroad term can be around the same price, or cheaper, than a semester at TRU. Living abroad can change your life! Discover new countries, opportunities and cultures. Showcase international experience on your resumé. The first step to apply to Study Abroad is to attend one of our Information Sessions, which are offered regularly throughout the academic year.